Chilli is here with all the Treasure Books available! 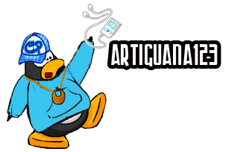 You can view all the Treasure Books and their items and see all possible cheats! 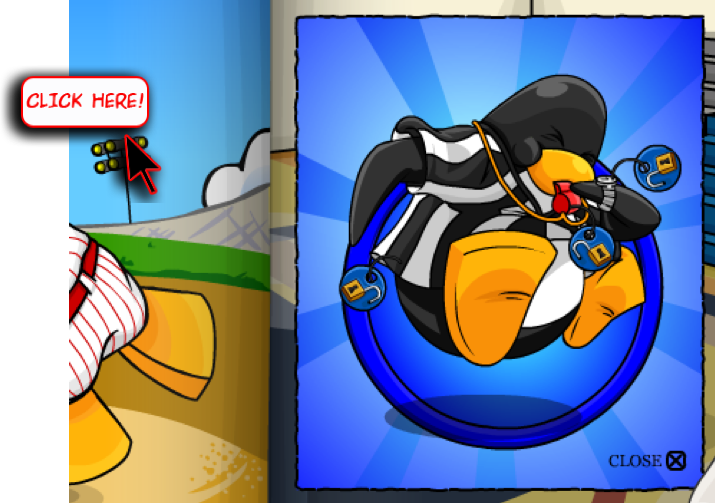 These books automatically update, so once the Series 7 Treasure Book Comes out it will appear here! 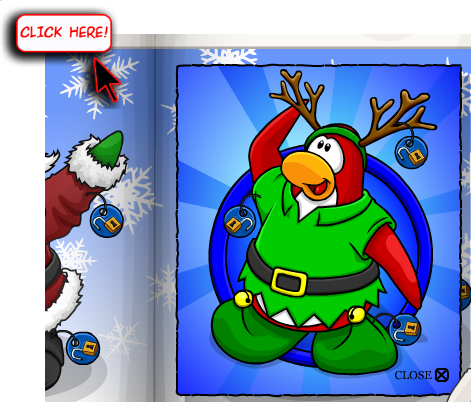 Click snow for the Elf! 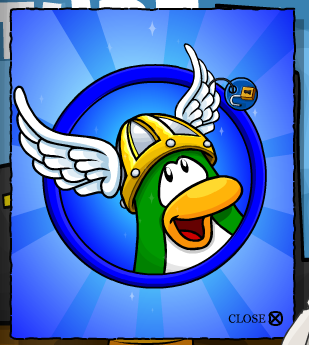 Click Cloud for Medieval Penguin! 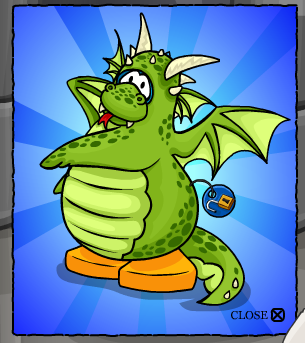 Click the Dragon Hand for Dragon Penguin! 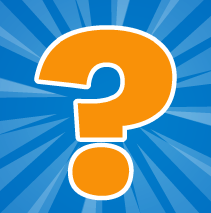 Once you unlock 5 codes, over and over again, under the same time in a row, you can receive the Ultimate Exclusives! A Umbrella! A Fancy Dress! 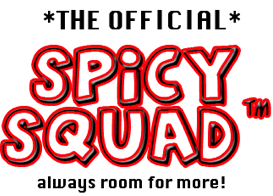 And a BETA T-SHIRT! 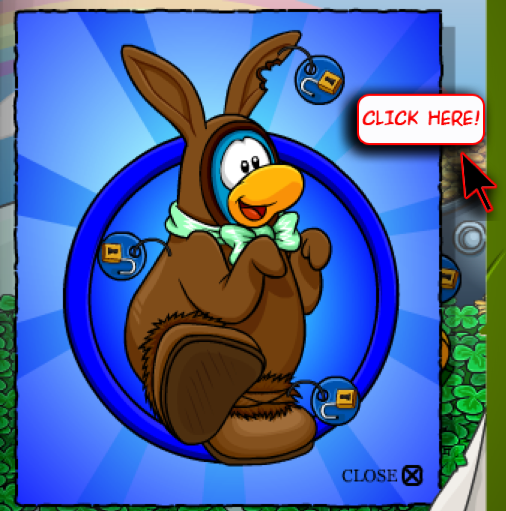 Click pot of gold to get Bunny Costume! 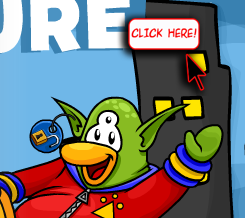 Click the lights for the Referee Equipment! 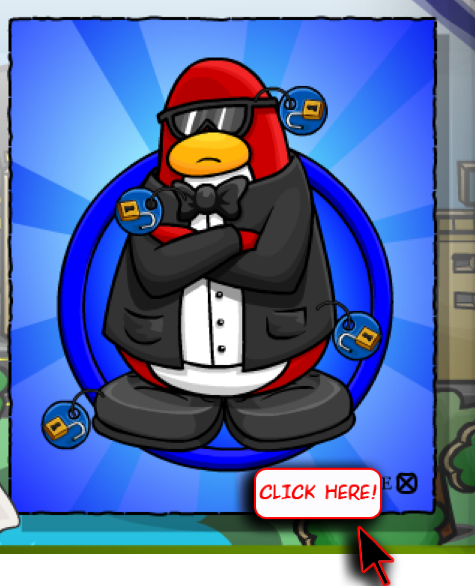 Click the Tree to get the Secret Agent Penguin Clothes! 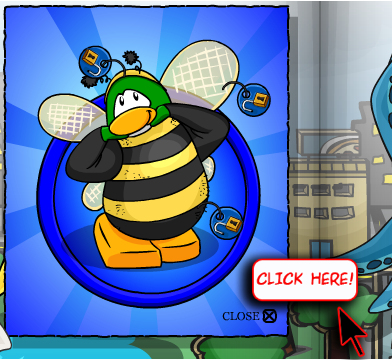 Click the Spot on the Ground to get the Bumblebee Costume! 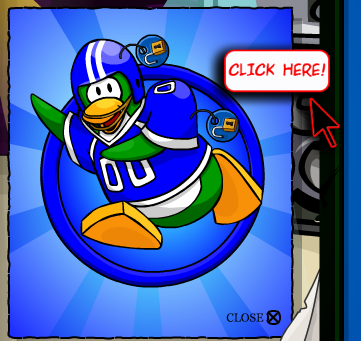 There is an exclusive page! I will recover the items soon! 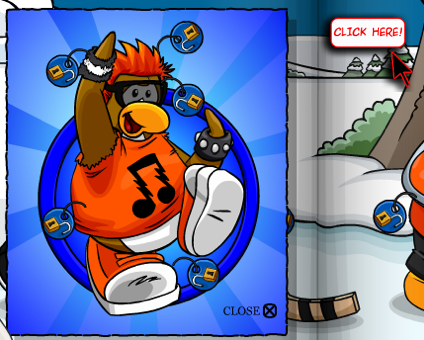 Now for the non-hidden exclusive items featuring the Orange Puffle! 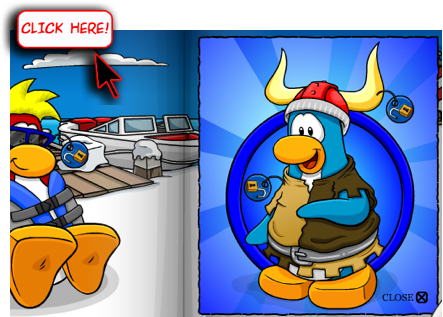 You can now get an Orange Puffle! Amazing! Flash Presentation of all books coming soon! Then, you can actually flip through them live right here! How sweet will that be soon? 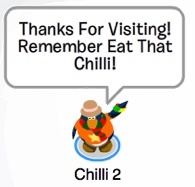 Woah Chilli next time I get a Coin code I’m coming here! lol I didnt even know about some cheats you posted! Series 7 treasure book is finally here! I’ve been waiting for a while lol. 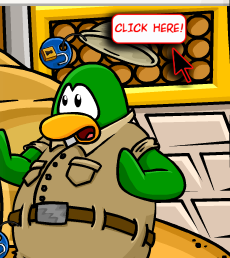 I have a LOT of the clothes featured in the Treasure Chest books & more on my account. Does anyone have the Graduate’s hat or the Newspaper hat? I do. My favorite rare items are my furniture. I have the red furniture (couch, chairs, tables, etc). I can dec up my iggy to be the best Luau party out there. 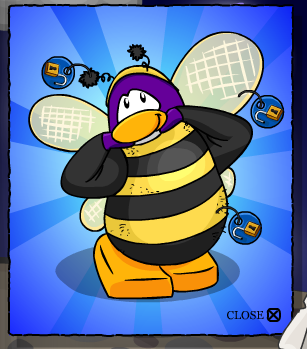 i want the bumble bee code give me if u have!